OXFORD, Miss. – For the past year, University of Mississippi student Gwenafaye McCormick started her school day about 6,600 miles and 14 time zones from Oxford – in Japan. McCormick, a rising senior international studies major from Tuscaloosa, Alabama, spent the 2017-18 school year studying at Waseda University, a private, independent research university in central Tokyo. The distance and time from home meant that while McCormick was headed to Friday morning classes, Ole Miss students were gearing up for a Thursday evening. “I grew up interested in Japan and Japanese culture, so of course I had some idea of what to expect, but getting to see places in real life that I had only ever seen in photos before was almost breathtaking, even for sort of silly things, like lines of vending machines lighting up a neighborhood street at night,” she said. The “dream-come-true” experience has ended as McCormick’s Japanese school year came to a close. That means McCormick, the inaugural recipient of the Ira Wolf Scholarship from the U.S.-Japan Bridging Foundation, will be home for two weeks of “summer vacation” before UM classes start Aug. 20. McCormick brought back experiences and memories from her Japanese sojourn that stretch beyond the classroom and her studies, such as eating “real sushi” for the first time on her 20th birthday surrounded by new friends, singing karaoke for the first time and playing games such as Janken, the Japanese version of rock-paper-scissors. A member of both the Sally McDonnell Barksdale Honors College and Croft Institute for International Studies, she even met U.S. Ambassador to Japan William Hagerty IV at the ambassador’s residence, where McCormick represented the U.S.-Japan Bridging Foundation at a reception. McCormick’s year of Japanese studies came through the foundation, a nonprofit organization created in 1998 at the recommendation of the Japan-US Friendship Commission to strengthen the two countries’ relationship. Her Ira Wolf Scholarship is named after a U.S. trade representative and, most recently, an employee of the Pharmaceutical Research and Manufacturers of America trade group in Tokyo. Wolf died in January 2016 after spending half his adult life in Japan. “Gwenafaye has a global perspective, similar to Mr. Wolf,” said Jean M. Falvey, deputy director of the U.S.-Japan Bridging Foundation. “Gwenafaye has carried on Mr. Wolf’s legacy with poise, intelligence and humility. She was chosen to represent the Bridging Scholars at a reception that U.S. Ambassador William Hagerty IV hosted at his residence in Tokyo, in honor of the Bridging Foundation’s 20th anniversary. McCormick’s studies at Waseda University were focused on Japanese culture and history. Her courseload in Japan included classes such as one on paternalism and Japanese society, which focused on the differences between and complexities within Western and Japanese business cultures. 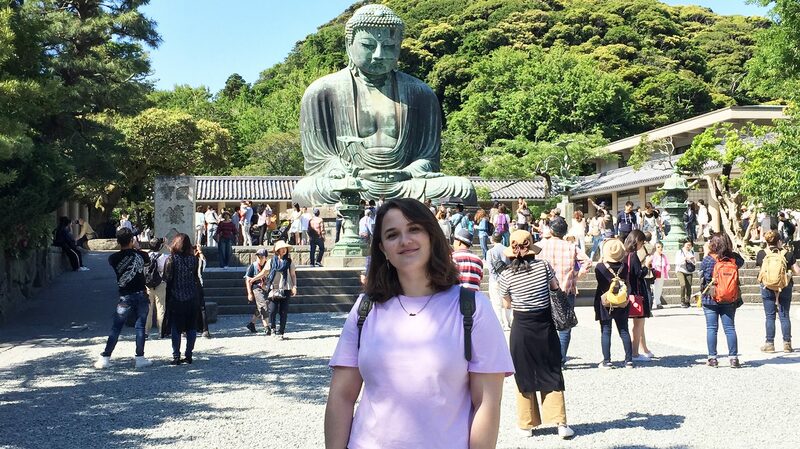 “It’s been really exciting to learn about Japanese culture and history from a Japanese perspective, especially since I have some background knowledge on events, given previous research and study I did at Ole Miss,” McCormick said. “In some ways, it’s very similar to what I’ve learned through my international studies classes (at UM) since the department I’m in is international studies/relations-oriented, teaches most of their courses in English and is a magnet for international students coming to Japan. McCormick is the daughter of Paige McCormick, an associate professor of English literature at the Stillman College, and Mark McCormick, Stillman’s vice president of academic affairs. While she briefly visited Switzerland, Paris and London in high school, her love for Japan and Japanese culture arose through watching and reading Japanese cartoons, respectively called anime (animation) and manga (comics). “I was completely enthralled by their variety of artistic styles and the difference in set storylines, humor and focuses,” she said. “I was always interested in the editor’s notes in the back of my manga volumes, where untranslatable jokes were explained, given that they relied on some knowledge of the kanji (Chinese characters) used to write characters’ names, or how two words sounded similar in Japanese but were written/pronounced differently. I wanted so badly to be able to be in on the joke. McCormick’s extended time living, traveling and studying in Japan provides a much deeper understanding of her target culture than the more typical semester stay, said Noell Wilson, chair of the university’s Arch Dalrymple III Department of History and Croft associate professor of history and international studies. Wilson also serves as McCormick’s senior thesis adviser. “This more complex engagement with all things Japanese – from pop culture to history to food – will make her scholarly analysis of Japan on return to Oxford both more authoritative and more authentic,” said Wilson, whose background is in East Asian studies. Following a brief vacation, McCormick will turn to her senior year at UM. Her tentative plans following graduation include entering the Japan Exchange and Teaching Program, a competitive employment opportunity that allows young professionals to live and work in Japan, whether in rural villages or brightly lit metropolises. 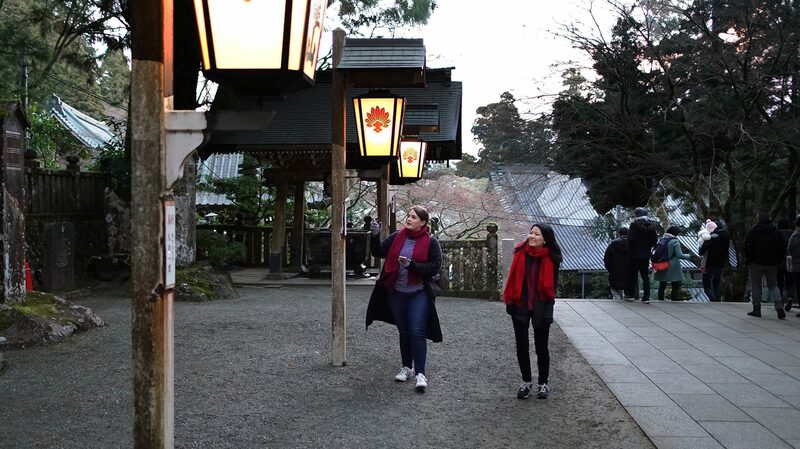 She would like a locale a little more rural than the center of Tokyo but is interested in the challenge of teaching her native language in her chosen, learned language, as well as having more of an immersive Japanese language experience. Still, with a year left at Ole Miss, McCormick said nothing is set.